Discovering a new inspirational person within the feminist movement is always exciting. 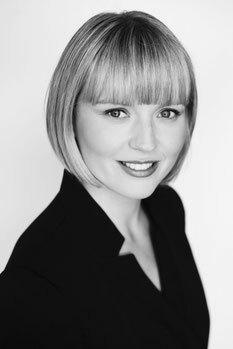 I still remember when I first heard about Charlotte Proudman. For those of you who follow the topic of gender equality the name might sound familiar. Charlotte (27) is a barrister in family law and human rights law, and is currently undertaking doctoral research on female genital mutilation at the University of Cambridge. In September 2015, Charlotte experienced international media attention. One of Charlotte’s tweets containing a message she had received on linked in (“professional facebook”) stirred up the emotions among feminists and anti-feminists alike. An older and senior solicitor in a position of power had complimented Charlotte in a “horrendously politically incorrect” (his own words!) manner on her profile picture. For the sake of gender equality, Charlotte demanded an end to a focus on appearance in the workplace setting. I followed the ensuing discussions. Whilst some (including myself) celebrated her courage to call out sexism, others condemned her for “ruining a poor man’s life” and “not just taking a compliment”. What I conclude from these discussions is that it is crucial to distinguish between private and professional contexts. In someone’s free time, social events and platforms are often used to connect with other people on a personal level, which might include finding a romantic partner, or connecting with friends. In this context, it is more likely that a woman would appreciate a respectful compliment from a friend or loved one. Additionally, within a private context a woman who does not appreciate a compliment could easily leave or confront the man in question. In the workplace, however, the woman might avoid leaving or confronting someone in a position of power because she fears negative career consequences. Many women often see no alternative but to tolerate unwelcome attention in the workplace. Moreover, in the work context it is offensive to prioritise a woman’s physical appearance over her personal and professional qualities. Objectification reduces a woman’s qualities to her looks and neglects her abilities. This communicates that it is more important for a woman to please and be liked than it is to excel professionally, even when she is at work. A few weeks after the LinkedIn incident I reached out to Charlotte, and we set up a Skype meeting to talk about her experiences, and about feminism more broadly. I left the conversation with a long list of notes on various topics. One part of the conversation really stuck out. After discussing her personal case I asked Charlotte something I have been thinking about for a while: Considering that feminism aims to empower women, why aren’t all women feminists? I was surprised when she answered without hesitation: Many women side with the patriarchy due to its utter societal pervasiveness. Sadly, siding with patriarchy means siding with power. So should we blame these women for taking the easy way out? After all, there are many women who spent years on their education just to give up their own career in favour of their partner’s career. Then there are women bosses who discriminate against younger women employees (Queen Bee syndrome). Such as, Margaret Thatcher who fostered a hyper masculine culture in politics rather than attempting to make politics more accessible for women. One could conclude that these women are not only failing to engage with feminism, but that they are actively undermining it. Condemning these women seems to be common practice; whole books and articles are written on this topic. However, I believe that blaming these women is fundamentally wrong and sexist in itself. Not complying with pervasive patriarchy is challenging because societal punishment ensues. For many women following feminist ideals implies more immediate problems than gains. They almost inevitably lead to ridicule or accusations from partners, friends, and society more generally. Moreover, competing amongst men in male dominated workspaces results in the painful realisation that discrimination is most definitely not consigned to the past. Becoming a respected wife (and mother) to a successful man can appear a more realistic goal than pursuing a career. On a similar note, I do not believe that it is justified to single out and blame women such as Margaret Thatcher for not publicly supporting gender equality. Thatcher did no more and no less than any prime minister before her and yet many place an undue burden on Thatcher. We rarely take into account that she might not have had a choice. Being successful (at Thatcher’s time and to a degree now) might have implied adjusting to a male world, and becoming one of the boys. Certainly, it would have been easier for a male prime minister (an in-group member) to suggest radical changes. And yet, we expect the out-group woman to do it, completely disregarding her own fragile position in a male world. Sadly, engaging with feminism still seems risky and siding with the patriarchy might remain a safer and less stressful option in many contexts. While this kind of behavior does not necessarily benefit the feminist cause, I do not believe in blaming women for submitting themselves to an utterly pervasive system. An alternative would be to encourage and support each other, and to find inspiration in women who are in positions of power and do take up the fight. Personally, I am absolutely inspired by Charlotte’s conviction – first to stand up to the LinkedIn solicitor and then to continue to stand up for what she believes in, even after being bombarded with hate mail, and death threats. I am inspired by Charlotte’s mantra that fighting for justice sometimes bears a cost worth paying and I am eager to keep this in mind for my own future.